Celebrate the most beautiful day of your life in TATRA Hotel !!! Entrust preparation into the hands of professionals. 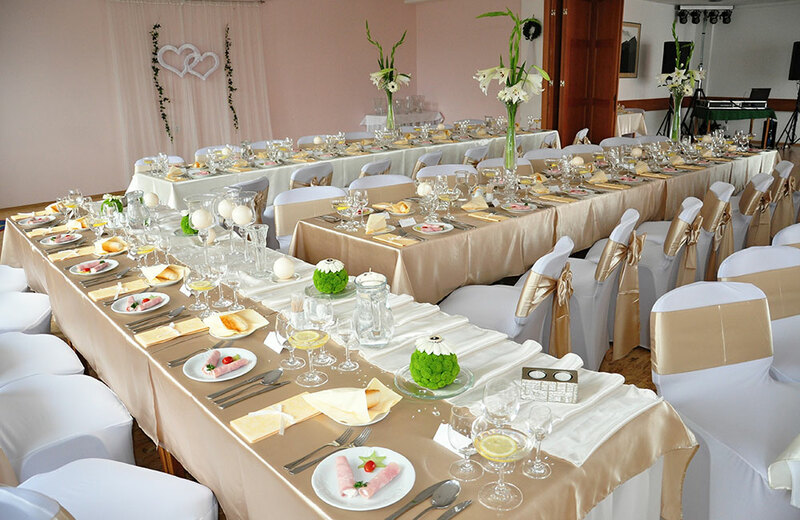 Thanks to long experience in preparing weddings tables and menu, TATRA Hotel staff will facilitate such special moment of your life. TATRA HOTEL offers the accommodation for „just married“during wedding night in suite with 100% discount and accommodation for wedding guests for special rates !!! TATRA HOTEL offers the accommodation for „just married“during wedding night in suite with 100% discount and accommodation for wedding guests for special rates!! !